Lake Itasca State Park is the headwaters of the mighty Mississippi, America’s longest river. 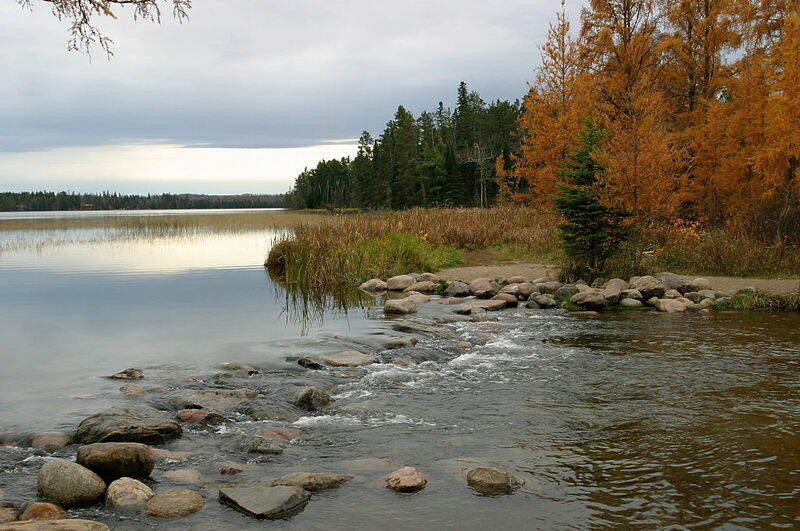 When you visit this park in Minnesota, you are in an area of the state seemingly untouched by industry and urbanization. You see only wildlife, hear only birds and the water is crystal clear and ice cold as it trickles over rocks in areas you can literally step across or straddle the river as it begins it journey through the state. The Mississippi reaches the Twin Cities after winding its way through northern Minnesota; remote farmland and wooded countrysides. By the time it reaches St. Paul, the water has a distinct stench to it, and is not suitable for wading or swimming. By the time it reaches Winona, before leaving its home state, it smells putrid and one must be desperate to consider fishing it for food consumption. Fish are not healthy. The last time I fished this portion of the river, the fish were so contaminated their flesh mushed in my hand when I was attempting to take them off the hook. That was in 1996. 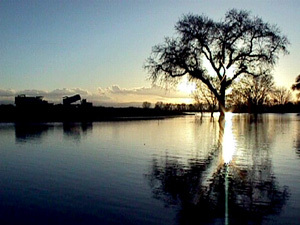 Topping the list this year is the San Joaquin River in California. Drought and poor water management policies have threatened wildlife and the water supply of the four million people living in the watershed. The river and its tributaries support some of the most productive and profitable agriculture in the world, irrigating more than two million acres of arid land. Without immediate action, all this is endangered. To see the complete list of 10 rivers named, click here. Instead of further consideration of defunding, if not totally abolishing, the EPA and other agencies protecting public health and resources, Congress needs to step up and understand saving rivers saves jobs and stabilizes local economies along their banks. What jobs? Recreation and fishing industries provide jobs and millions of dollars to local economies annually. Agriculture does not exist without water for irrigation of crops. This affects food supplies of grains and feed for livestock. Toxic water makes people sick, contributing to worsened health conditions and illnesses. Increased industrialization and development of gas and oil drilling will contribute to these serious problems. From the increased traffic of heavy trucks along the banks of these rivers to the toxic runoff and water discharges from drilling and fracking operations, the problem will only increase without intervention. And let’s not forget about the Dan River in North Carolina, polluted with coal ash thanks to Duke Energy, or Freedom Industries’ contribution to the polluted waters of the Elk River in West Virginia. Congress, while responsible to the public, receives large sums of money from lobbyists in order to allow for more policies favoring corporations, regardless. The mantra of “job-killing regulations” does not translate to what this really means to most Americans – and media is shirking their responsibility to report the problem in its full impacting consequences. As a result, we will one day wake up and realize all our rivers are poisoned, our fish and birds are dead, we are unable to grow crops, our tap water lights on fire with a match and our cancer rates are skyrocketing. We will ask why, and the government will commission a three year study at tax payer expense to come back and say it is too late to save the environment, but they set up contracts with several corporations to import fresh clean water from China. This entry was posted in Climate Change & Environmental Issues, Economics, Government, Media Issues, Mining and tagged Economics, Energy, Environment, Fracking, Hydraulic Fracking, Mining, Oil, Pollution, rivers on April 21, 2014 by MNgranny.